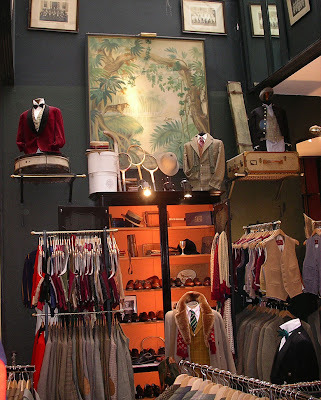 Given the photo evidence, Rudolf Beaufays, this second hand Englishman's store, would be a first stop if I were to ever venture to Frankfurt. Men's Vogue profiles it in the October (Ralph Lauren) issue on page 112. BTW, I love how they painted the shelves orange -- looks like a gigantic Hermes box.